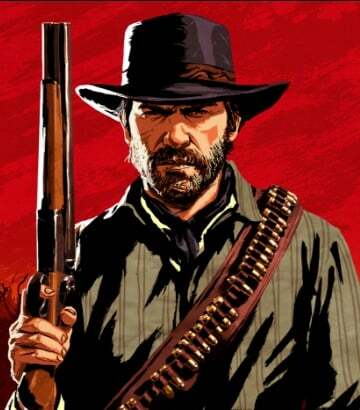 Arthur Morgan is the Protagonist in Red Dead Redemption 2 (RDR2). As a core member of the Van Der Linde Gang, and Dutch Van Der Linde's right hand man, Arthur has always been a capable enforcer. A man that personifies "cool, calmed, and collected", he knows how to get the job done and keep a smile on his face while doing so. He had a son named Isaac, with a waitress named Eliza, they sadly both died to a band of raiders who attacked their home while Arthur was away, he feels guilty about it. Ever since he was a boy, Arthur ran with the Van Der Linde Gang and has always been adept and willing to do whatever it takes to complete the goals of the gang. This makes him one of Dutch's leading men, and one of the handful of people he truly confides in. He died of Tuberculosis (also known as TBC), which he got while trying to collect a debt from one Strauss' clients. "Maybe when your mother is finished mourning your father... I'll keep her in black, on your behalf." "Listen to me. When the time comes, you gotta run and don’t look back. This is over."